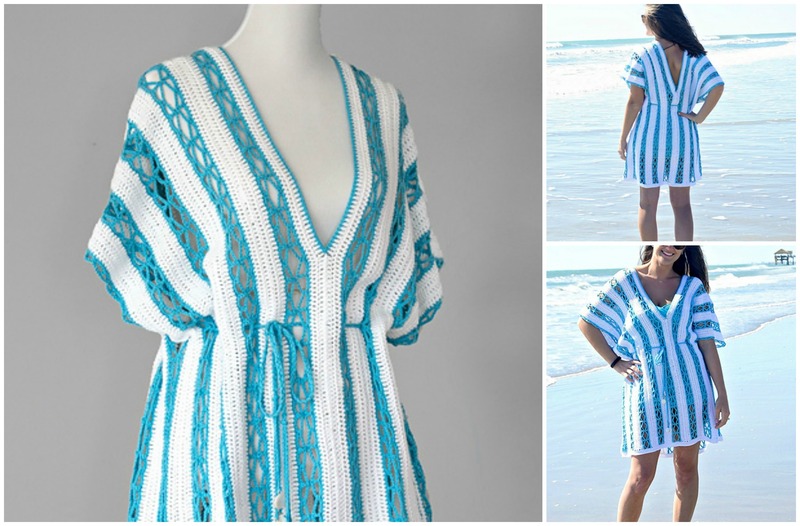 Today you are up to learn how to crochet Beach Day Cover-Up Tunic, which is funny to make and we hope you will enjoy making it and master easily. This lightweight and fabulous tunic is designed in two colors. Its simple visual style makes a big visual impact. Make one for yourself, for your friend and highlight your crochet skills and personal style. You can choose any color and any size you want. The pattern will guide you perfectly. Every detail of your working process is explained clearly, step by step so we hope you will enjoy. Happy crocheting!!! We would like to thank author for this amazing project.